“Everyday PA” required students to connect classroom concepts with the world around them to understand how public administration affects them in their daily life. Students snapped pictures during their normal day, of what they believed were public administration-related activities. They then posted those pictures to a class discussion site. 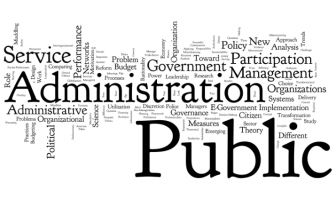 The first day of the course, before any lecture or framework is provided, a facilitated discussion occurred to determine if the class could categorize what is, and is not, related to public administration, and why. The full assignment involved identifying the public interest in the activity, which government department might manage the effort, what taxes might pay for the effort, how citizens might comment on the activity and how the activity might affect students, both today and in the future. 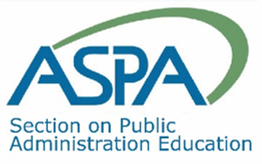 The second assignment, “My PA Profession,” required students to select an open position in the public sector and develop a strategic plan to obtain that position. This included a mini-SWOT analysis of students’ strengths and weaknesses, identification of stakeholders, defining a code of ethics and developing an action plan to compete for the position. Both of these assignments linked classroom work with students’ broader lives and the profession, to help them prepare for a career in public service. Students’ survey responses provide useful information on the value of the assignments. Classes surveyed were from fall 2017 and spring 2018. The format for the classes was face-to-face. Seventy-four of ninety-five students responded to the survey, for a return rate of 78 percent. No extra credit or other incentive was provided. For the “Everyday PA” assignment, where students observed public administration activities in their daily life, 85 percent of students strongly agreed or agreed that this assignment a) made them more aware of the impact of public administration in their daily life than before they took the class; b) helped them learn to distinguish between the public and private sector; and c) made what they were learning in class more relevant to their everyday life. Topics such as understanding taxes, recognizing levels of government, defining the public administrator’s role and explaining citizen involvement also received very positive scores. The “My PA Profession” assignment achieved similar results. The point of this exercise was for students to integrate their academic, extra-curricular activities and life experiences into a coherent plan for post-graduation public service. Over 82 percent agreed or strongly agreed this assignment helped them reflect on these areas in identifying their skills and abilities. Thus, students became more aware of the unique talents they bring to the table. Seventy-eight percent stated the exercise helped them understand the value of ethics in the public administration profession. 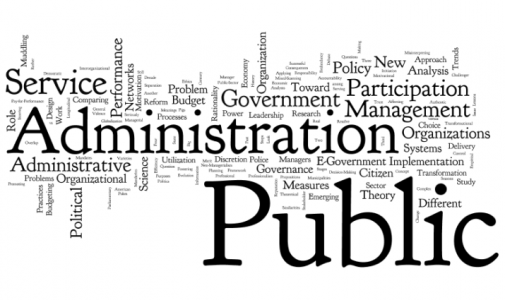 Eighty-six percent of students stated they also developed a sense of the public service perspective in public administration. Finally, 85 percent of students stated the assignment helped them develop a foundation for a public administration career. In addition, they practiced the concept of strategic planning. One student stated, “The assignments given this semester were both informative and challenging. I found that the Everyday PA assignment was the most beneficial for learning more about the structure and process of the public sector.” Another student’s statement captured the big picture of the integrative learning goal: “The assignments were great at helping us bring the class to the real world.” Creating assignments that lead students to plan, connect, and reflect on their life is an important teaching tool. And, for public administration, our values, ethics and professional principles align perfectly with integrative learning. Most of all, these innovative activities are described by students as high-impact, just the kind of occurrence the AAC&U is trying to accomplish.